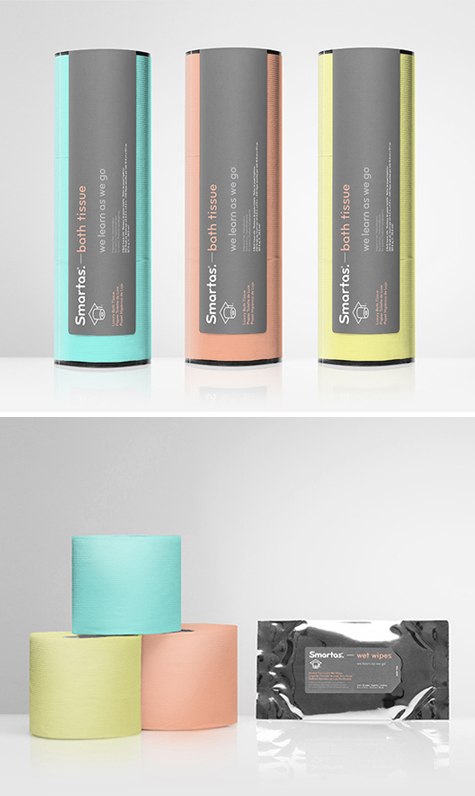 Smartas - such a cheeky name for posterior products (oh, and I just made a fantastic pun!) - is a brand dealing in lively and bold disposable articles. Their prime commodity is toilet tissue, which is sold in various color and scent presentations. Identity by Anagrama. Very attractive packaging that celebrates products that otherwise fade into the background of a bathroom.